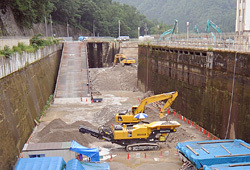 Maeda demolished a building and waterway structure of a power plant constructed more than 80 years earlier and reused the waste concrete. 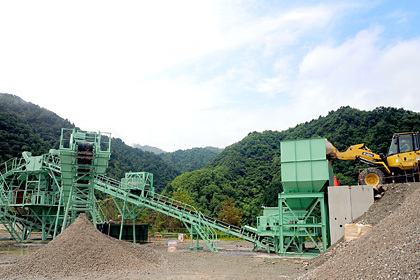 Iron and concrete pieces are separated, the concrete is crushed to create aggregate, and the aggregate is used in recycled concrete as fill material in hollow areas of existing structures. Maeda is contributing to environmental conservation by reusing building materials in this manner. 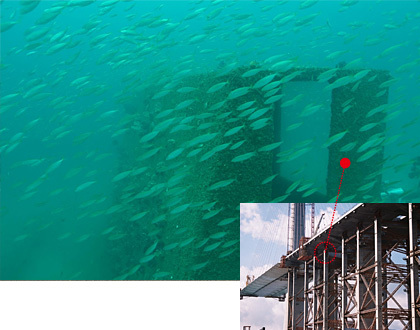 When building the Stonecutters Bridge in Hong Kong, Maeda worked with the Agriculture, Fisheries, and Conservation Department to submerge some of the concrete blocks used as temporary supports to reuse the submerged blocks as artificial fish reefs. Maeda receive the Environmental Company Award in the construction division for these and other environmental conservation activities. 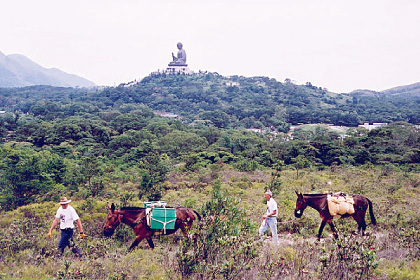 When Maeda's Hong Kong Office undertook the construction of the Ngong Ping 360 cable car project in Hong Kong, mules and other eco-friendly means of transport were used, in response to public opinions, to carry construction materials in order to prevent adverse effects on the blessed natural environment. This environmentally considerate approach attracted attention as an unprecedented effort in Hong Kong. 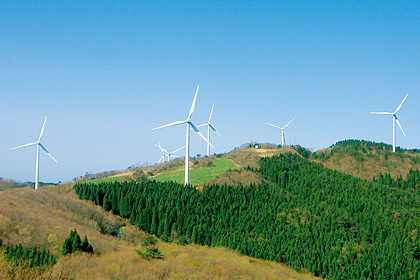 Maeda has constructed a number of wind farms in Japan, including the Suzu Wind Power Plant in Ishikawa Prefecture, as EPC (Engineering, Procurement and Construction) projects. The acronym "EPC" stands for Engineering (design), Procurement (procurement of materials and equipment) and Construction (construction and test run). In the EPC project method, the whole project process including project planning, design, procurement, construction and test run are completed by the specified delivery date in accordance with the owner's requirements. Green electricity means electric power generated from natural energy such as wind, solar, and biomass. 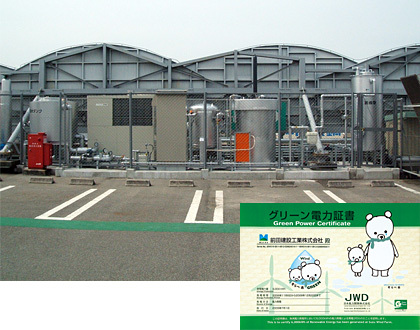 Maeda entered into an agreement with Japan Natural Energy Co., Ltd. to purchase a Certification of Green Power. Under this agreement, 1 million kWh of the electric power used at Maeda construction sites and offices has been provided by wind power annually since April 2002. 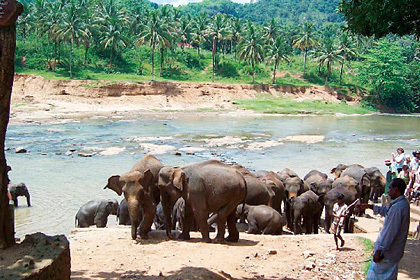 Ceylon elephants in the vicinity of a dam construction site in Sri Lanka are at risk of going extinct. Maeda used its "dividends to the earth" to support a project that protects and nurtures orphaned elephant calves and returns them to the wild. Since Maeda began doing business in Cambodia in 1968, it has conducted social contribution activities in parallel with social infrastructure development. 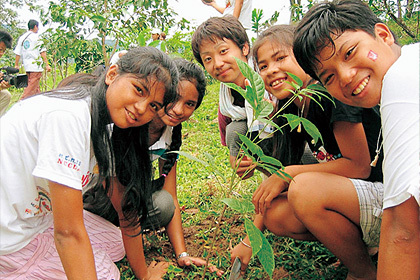 Under a movement they call "Abundant Flowers and Trees throughout Cambodia," the Phnom Penh Office has provided approximately 2,000 seedlings grown by Japanese and local staff members for tree-planting activities conducted by elementary and middle schools and other organizations since 2005.